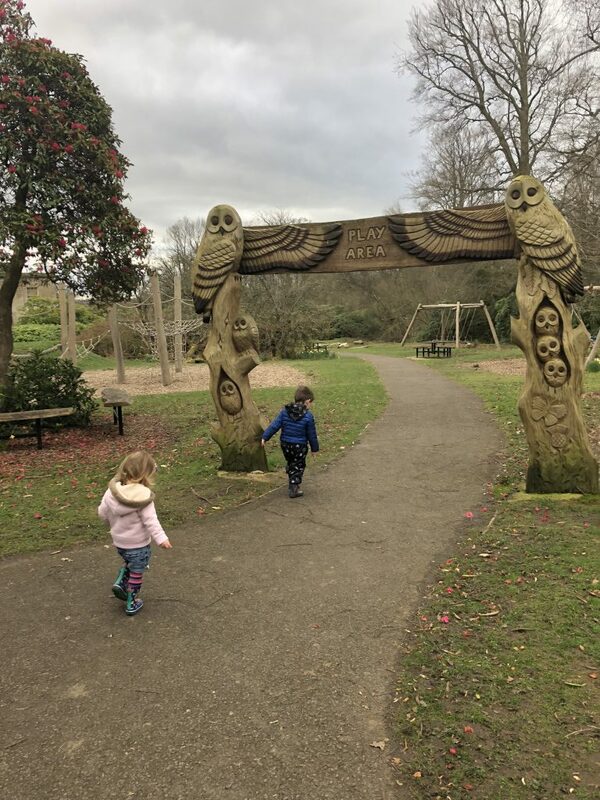 I’ve realised that to have a happy and well sleeping toddler, he needs to burn his energy in a happy way, preferably outdoors so therefore we love getting out and about. Country parks are especially good for that. Today we visited Plean Country Park in Plean, (Stirlingshire, Central Scotland). This was organised by Facebook group Stirling Toddler Walks that I’m on as one of the admins. If you’re local and have toddler age kids, feel free to join! Plean Country Park is great for little people ones and anyone who love a walk in the forest! There’s a few signs for a few longer forest walks around the park but unfortunately my 2 year old normally dictates the way to go so we headed straight to the play area. 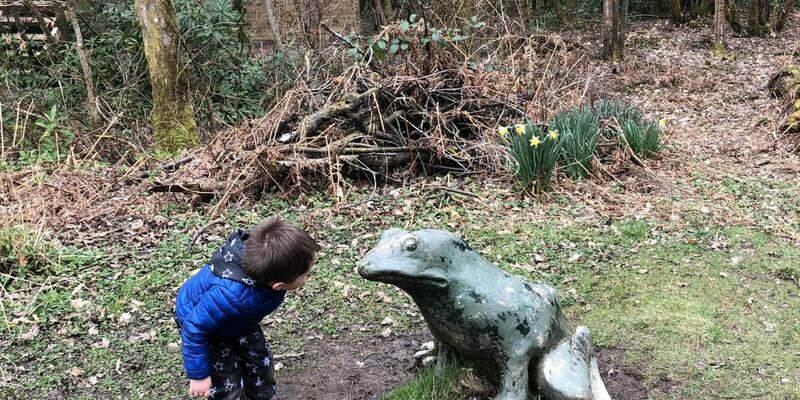 It’s a short walk from car park to the play and picnic area through forestry bit, where you’re greeted by wooden sculptures of young deer, frog and others, plus there’s a little pond and usually lots of muddy puddles on the way they kids just love to jump in! Today we were 5 mums with little ones, ages ranging from newborn to Oscar who’s nearly 3. We managed to contain them all together just about! Once we reached the play area it was nice to let them loose as you can easily see them. There’s swings, slide, tunnel, and lots of climbing frames and other bits and pieces for young children to play on. Oscar loved going through the tunnel and getting muddy. Slide is quite high, but there are wooden stairs to climb up and he was totally in his element going up and down. There are quite a few picnic tables to sit down and have some snacks. You can see the old abandoned building adjacent to the play park. It’s a beautiful building, I feel sorry it’s been overgrown by trees and bushes, but there are fences around so it keeps little kids away. Overall we had a lovely day and definitely we’ll be back! Things to do in Plean Country Park: go for a woodland walk, go for a walk with a dog, go for a bicycle ride, climb the trees, play at the kids play park, have a picnic, spot frogs in the little pond, spot different birds in the woodland, have photos with wood carvings frog, deer, squirrel and others.